Top 10 Tattoos of the week – Edition #17- Find the best tattoo artists, anywhere in the world. 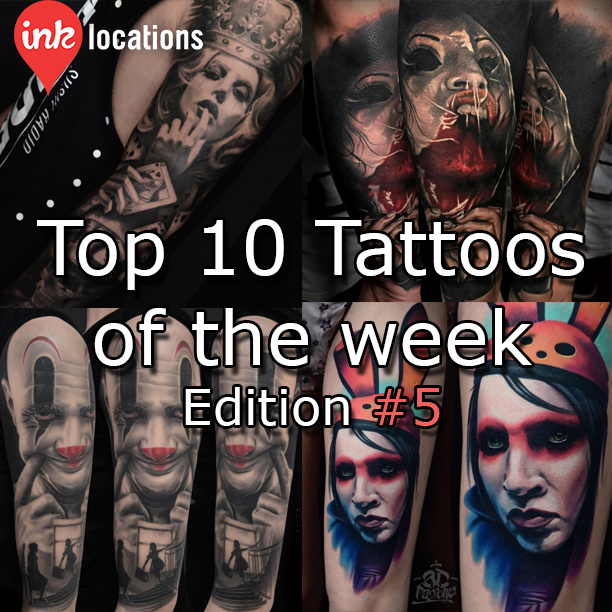 Welcome to the seventeenth edition of InkLocation’s Top 10 Tattoos of the week! Cutting this down from 27 was near impossible, but it had to be done. They are in alphabetical order to keep things fair! Featuring Brandon Thurston (@thurstontattoo), Carlos Rojas (@crojasart), Fabz (@fabz_art), Fernie Andrade (@fernie_andrade), Mumia (@mumia916), Nikko Hurtado (@nikkohurtado), Rember Orellana (@rember_tattoos), Roman Abrego (@romantattoos), Silvano Fiato (@silvanofiato) and Tyler Malek (@tylermalek). 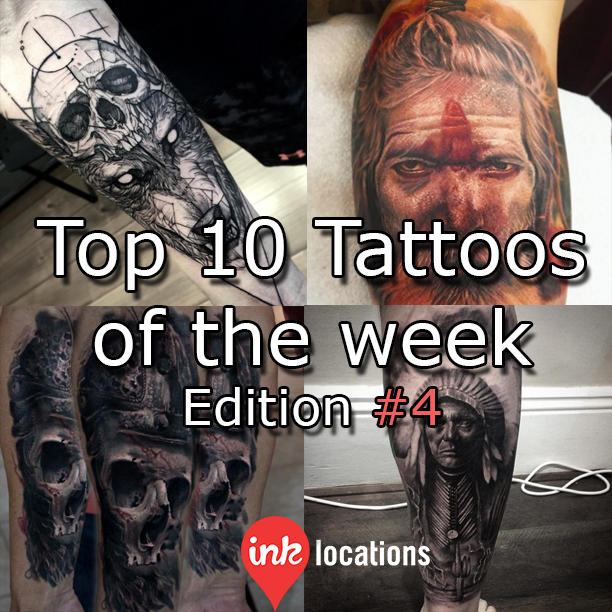 As usual, if you see an awesome tattoo you that was completed during the next week – send it through to [email protected] or tag us @inklocations #inklocations to get it in the running to be featured in next weeks edition! Carlos Rojas – Michonne from The Walking Dead. Nikko Hurtado – Travis Bickle portrayed by Robert De Niro from the 1976 film ‘Taxi’. Sleeve work in progress! Just done! Tyler Malek – Realism and watercolor combo. Tattoo of the day at Boston Tattoo Convention 2016.